We’re Shawn & Nick. 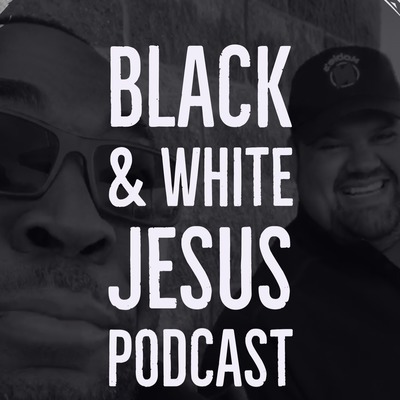 Listen to what happens when a Black guy from Detroit, MI and a White guy from Skiatook, OK talk about Jesus working in their worlds. After many months off the podcast is Back!!! It is reborn but with a slightly different direction. Our hope is that with these shorter episodes that the daily encouragement from the Lord will help you in your daily walk. Enjoy! Have you ever felt like God was not with you? Like He didn't care? Like He loved everyone else but, you? Listen to Shawn & Nick talk about how to become more passionate in your relationship with God. Please share this message with someone who could use a spiritual boost right now! Ep. 6 - What makes your heart leap with excitement? Shawn and Nick talk about the passion, vision, and assignment God has placed in their heart (I think those all mean the same thing). As you listen, ask yourself "What really makes my heart leap with excitement?" If your passion is tied with ours hit us up and let us know! Shawn and Nick went to an Iris Global event and Holy Spirit showed up in a mighty and wonderful way. Hear about the vision Nick received with Jesus. Fear will drain our energy and bully our destiny...if we let it. Let's not allow fear live with us any longer! 2 Timothy 1:6-9 (TPT) 6 I’m writing to encourage you to fan into a flame and rekindle the fire of the spiritual gift God imparted to you when I laid my hands upon you. 7 For God will never give you the spirit of fear, but the Holy Spirit who gives you mighty power, love, and self-control. 8 So never be ashamed of the testimony of our Lord, nor be embarrassed over my imprisonment, but overcome every evil by the revelation of the power of God! 9 He gave us resurrection life and drew us to himself by his holy calling on our lives. And it wasn’t because of any good we have done, but by his divine pleasure and marvelous grace that confirmed our union with the anointed Jesus, even before time began! This episode is about how to move from deep desires to accomplishing something bigger than ourselves. A good God wants to partner with you to accomplish good desires! Oh yeah...we also talk about parking lots, fist fights, and super city. God places dreams in our hearts for a great a beautiful purpose. Trust God, as a good Father, to do all He has put in your heart. Ephesians 3:20-21 The Message (MSG) 20-21 God can do anything, you know—far more than you could ever imagine or guess or request in your wildest dreams! He does it not by pushing us around but by working within us, his Spirit deeply and gently within us. Ep. 1 - Jesus, Us, and Tricycles in Traffic! 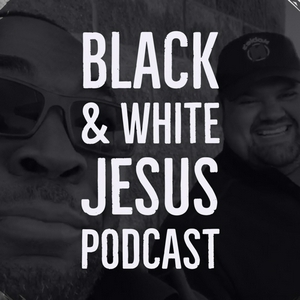 The very first episode of Black & White Jesus Podcast🔥!